Located at the heart of Clerkenwell, I was spoilt for choices for food several days a week the food stalls open along Exmouth Market. 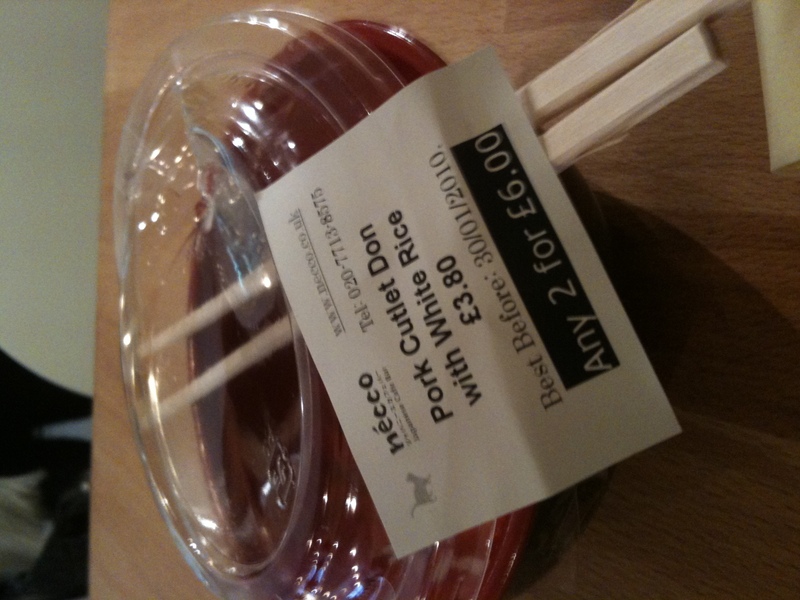 Well Cafe Necco was rather new when I went, I was so sad when Johin closed down to become a nail shop. My cravings for decent priced Japanese food left me eating out in restaurants nearby. Cafe Necco is a cute looking modern cafe the design of their business card uses a pale yellow and purple pink. Necco means cat in Japanese. My first visit wasn’t so great, most bento food was sold out, I brought Pork Cutlet Don. My first complaint was the rice, wasn’t sushi rice, and because it was left out for so long it didn’t taste that great. My second complaint was during the half a hour I was there, “I DID NOT GET OFFERED THEIR MENU” I didn’t even know that you can order freshly cooked food. I watched as customers walked in and out the cafe thinking there was no food left. 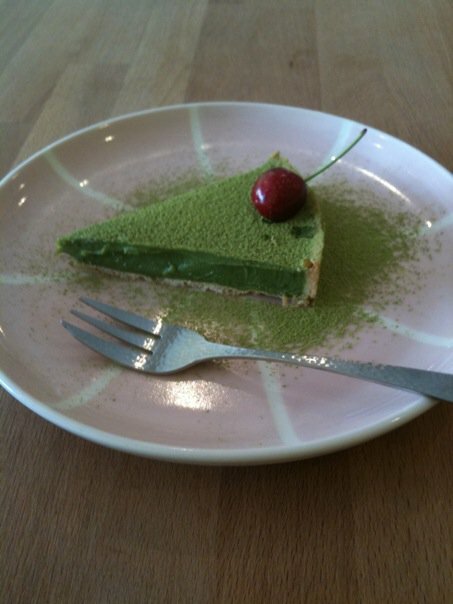 Sighs, so I got a Green tea tarte instead, I’m obsessed with anything green tea related. It’s not good that green tea is a natural addictive too. Anyhow, I was very happy with the green tea tarte slowly eating the tarte in 15 mins.